Here are the results of the photoshoot I attempted this morning. 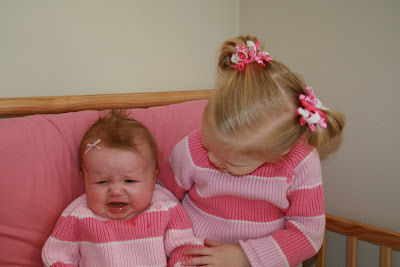 The girls are wearing their matching sweaters that Nana & Papa gave them for Valentine's Day. 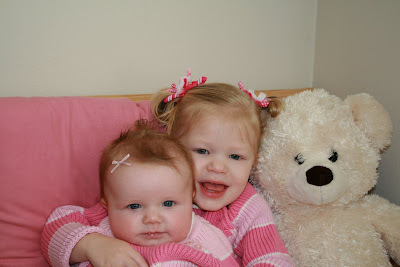 Oh my gosh your girls are so adorable!!! I am so glad you found my blog! Thanks so much for having us over the other night we had so much fun. I am so glad that we live so close so we can hang out! Lets get together again soon! Okay these pictures melted my heart!The grils look so cute in their sweaters! I can't wait to get my hands on them both in March! 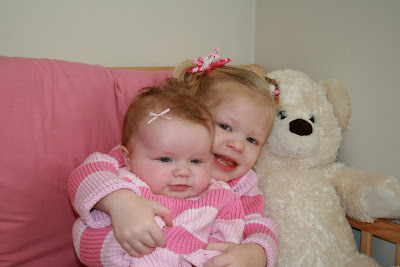 Sadie and Maddie Nana loves you so much! Pretty in pink! The high resolution photos are great--on the full screen, they almost come to life! I love it! I love how Maddie starts off all smiles and then slowly turns into "OK I have had enough!" 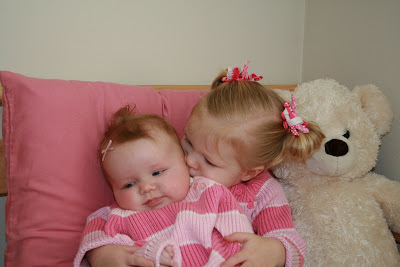 Sadie is a good older sister. Yeah I found you! I knew you had a blog! I luv the pictures of your girls! How are you doing? 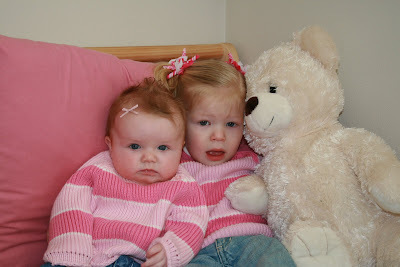 WE finally got a blog- but note that Im still learning the ropes of how it works!